This will be my thread to post recreations of various sign curtains seen on the trains over the years. For now, I'm going to stick to post-Chrystie Street signs on the B-Division. With that out of the way, here's the first of what should be many sign rolls. I picked this one to start with since we've had a few conversations about this particular roll here on the forums. P.S. Yes, I watermarked the curtain. All of the ones I post here will be watermarked as well. I spend a lot of time making these and I don't want them being claimed by someone else as their own. Well, you can't have a gallery with one piece, so here are a couple more sign curtains. While it was not in my original plans to post these ones yet, recent circumstances, which should be obvious given the particular curtains in question, pushed these ones to the front of the line. These rolls can be found on certain R68s, but have been replaced on most cars with new curtains in 2001. Stand by for more, coming soon. Interesting how that R16-38 sign had a on it, yet no or any other unused letter in a colored circle. Since the rollsign's date is October 1, 1984, I'm guessing the decision to go to all single letter routes on the B Division had already been made and the new letters already chosen. Obviously replaced (AA), < Q > replaced < QB > and the remaining double letter trains became single letter versions of themselves. But that Avenue of the Americas Local sign remains a bit of a mystery. Prior to the 1986-88 shutdown of the Manhattan Bridge north side tracks, there were two services. One ran rush hours only from Coney Island to 168th St-Broadway as a 6th Ave express. The other ran from Coney Island to 57th St-6th Ave seven days a week via 6th Ave local, except rush hours when it also ran express and late nights when it ran as a shuttle from CI to 36th St-4th Ave. In mid-1985, they began using the new single letters, but the 168th St and 57th St services were both still designated as trains and remained that way until April 1986, when the B was cut back to 34th St and it only ran during rush hours. The 6th Ave service that ran from 57th & 6th to Grand St while the north side tracks were shut down was never called the V. It was called the . Who knows what they had in mind for that V sign back in October 1984? It's of note that, as mentioned above, this particular curtain, along with the two corresponding destination curtains printed around the same time, were never actually used in the R10s. 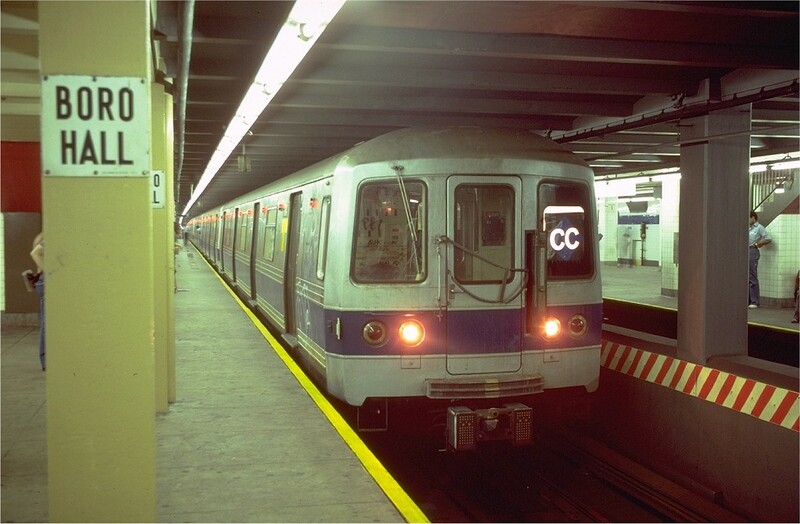 Those trains would continue to carry the pre-Chrystie signs until the mid-1980s when they were finally replaced. format would result in offset readings being displayed. At least, that's what my research has led me to believe. This format would continue until 1985 for the route signs and 1988 for the other ones. I now present to you a few of my favorite rollsigns. These are from a car class I haven't posted any signs from until today. Upon delivery of the R44 order of cars, they were to be assigned to both the Queens Blvd lines and the IND North (anything that ran on Central Park West), hence the service order on each curtain. The A route is included on both versions as it was anticipated that some E trains returning from their trips to the Rockaways would operate back to Manhattan as A trains and vice-versa. 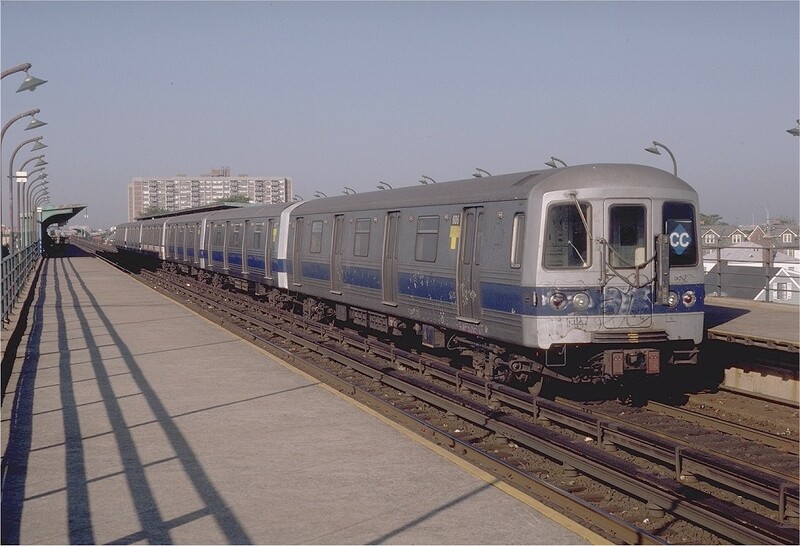 In 1972, when the cars were still being delivered, the HH designation for the Rockaway Park shuttle was discontinued and all trips to the Rockaways operated under the A and E routes. As always, stay tuned for more. Thanks Lance! I have been wanting to see those. Also, by any chance do you know what the roll is for R110Bs? *ACHE is the name I gave to the order the routes are set in for all rollsigns from 1987-2001, since they all start with . Technically, they all start with the JFK Express, but whatever. Well, it's a new week, so that means I have another rollsign recreation. Once again, we're staying up front for this one. 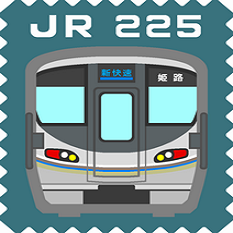 This design marked the return of route signs actually being in the route sign window on the bulkheads of the R10s through the R38s. Starting in the late 1960s, the route window was unused and wider route sign curtains were installed in the former destination sign window. This roll in particular may not have had much exposure since the subway had already changed route colors by this point. Some of you may be questioning why this is dated 1980 when the trunk line colors were introduced in '79. The MTA has done this may times when it comes to these sign curtains. Look at the route signs currently on the R32s. The diamond Brown R is on all of these signs, which are dated 1988. However, the Nassau Street specials were discontinued in late '87. So, I'm sticking with the date, at least until proven otherwise. When the R46s ran on the CC back in the old days, how come it used the blue diamond instead of its green and circle? And what else was on that rollsign with the Blue diamond CC? By the time the 46s started running on the CC, 1980 if I'm not mistaken, the trunk color scheme had already been adopted. I'll get back to you with the order on the signs later today. Thanks for all of that UT. It's interesting to say the least. I just found out new route bullets were printed for the IRT cars after the '67 color explosion. 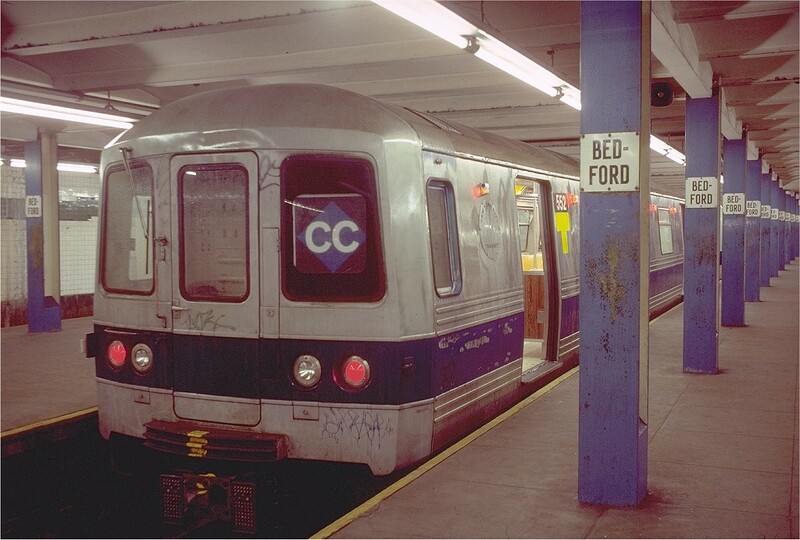 Seeing so many photos of the older trains in the '70s with their original numbered route signs led me to believe the MTA simply decided not to buy new signs like they did for the B-Division. On a side note, you know you don't have to quote all of the page text here, right? If you want to, it's your call, but it's really unnecessary. This week, we're shifting back over to the sides for this sign curtain. This was the last sign curtain printed for the R46s prior to their overhauls, beginning in 1990. These signs were also the first curtain printed for the R46s following the N/R line shift between Astoria and Queens Blvd, which occurred in May of 1987.